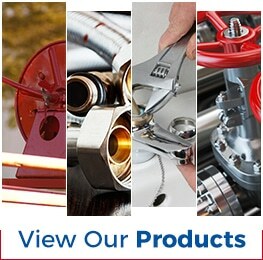 When you need industrial hoses in Corona CA you need ASJ Industrial Hose & Fittings. Why? Because hoses are our specialty. 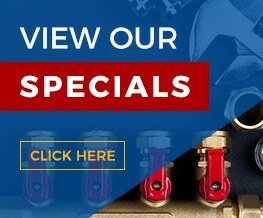 Not only do we offer the best possible selection of hoses, but we only offer the best quality hoses. We have been in this business for more than 35 years and in that time we have learned how to provide the best possible products and the best services. Ready to learn more? Contact us at (951) 735-1351 today. What type of industrial hoses in Corona CA are you looking for? Do you need a hose for a purpose you don’t see listed? Not a problem, contact ASJ Industrial Hose & Fittings at (951) 735-1351. No matter what industry you need a hose for, we are here for you. Some of the industries we serve including heavy equipment, construction, concrete and gunite, petroleum, air actuator and springs, brewery, tank drain hoses, railway, hydraulic, and many others. Once again, if you don’t see your industry listed above, there is a good chance we can still help. Just call us for more information. We are proud to be a company that’s driven primarily by our customers. We will always keep your needs first and foremost when making decisions, and our goal is always to fulfill your orders without error and on time. It’s often the case that our hose and fitting combinations are available for immediate will-call pickup or immediate shipment because we have such an incredible in-stock inventory. If we don’t have it in stock, then we can order it for you. We are also proud to be a family owned and operated business that has been providing industrial hoses and fittings for more than 35 years. Though we started out as a modest company operating out of a garage in Norco, we now have a state of the art 24,000 square foot facility in Corona. However, we have never forgotten how we got here – by putting our customers’ needs first. Whether you have a question about which hose will be best for your needs, or you know exactly which industrial hose you need and you simply need the highest quality and most competitive price, ASJ Industrial Hose & Fittings is standing by to help. Stop by or contact us today at (951) 735-1351 to get started.